Inflammation is a friendly warning. Inflammation is your body telling you there is a problem and you must discover what is causing the inflammation. But how to discover the cause, perhaps its in your blood or brain or your legs and feet. Most people are blissfully unaware of chronic inflammation cascading throughout their bodies, exposing them to chronic health risks. Inflammation in short, is the body’s response to internal and outside threats like stress, infection and toxic chemicals. Inflammation is the body’s attempt at self-protection; the aim being to remove harmful stimuli, including damaged cells, irritants, pathogens and an acid body – and begin the healing process. Inflammation is the body acting to protect you. Inflammation is good until the cause is not found and treated – then inflammation can be serious to your health. Inflammation does not mean infection, even when an infection causes inflammation. Infection is caused by a bacteria, virus or fungus, while inflammation is the body’s response to it. When the immune system senses one of these dangers, it responds by activating proteins meant to protect cells and tissues. “In a healthy situation, inflammation serves as a good friend to our body, but if immune cells start to overreact, that inflammation can be totally directed against us. This type of harmful, chronic inflammation can have many causes, including a virus or bacteria, an autoimmune disorder, foods causing acidity, sugary and bad fatty foods, or the way you handle stress. Have you ever banged your shin and watched as a reddish bump rises to the surface and swells in a painful bruise? That’s your body’s defence mechanism at work. Inflammation at the site of an injury means the soldiers of healing, your body’s white blood cells have arrived on the scene to make you all better. Acute inflammation, as that process is known, usually lasts only a few days. But lately, scientists have started homing in on another type of inflammation in your body that may be the root cause of many diseases and health problems. 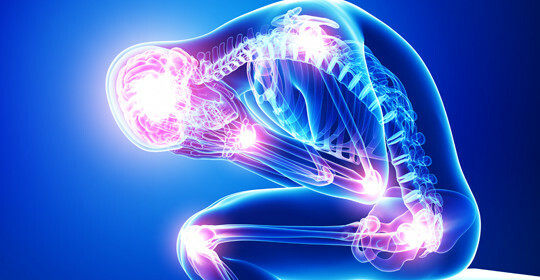 Known as chronic inflammation or systemic inflammation, it occurs when your body repeatedly experiences a series of assaults, that cause the soldier cells to go into a full fighting mode, from which they can never recover. And over time, they begin to create problems in the very organs and systems they were meant to protect. The results can be dangerous – chronic inflammation has now been linked to Alzheimer’s Disease, heart disease, kidney problems, cancer, diabetes, eczema, allergies, arthritis, gout, stroke, and asthma, to name just a few. For example, when you repeatedly fill your gut with fat-laden foods such as factory-meat, margarine, rich desserts, breakfast cereals and high-sugar foods, you are asking your body to work overtime to digest it and get it out of your system. Your arteries may become irritated as these substances pass through them, and bad cholesterol piles up inside them because the blood vessels are starting to become inflamed. Soon, you may have an artery that is too sticky for anything to get by – it has become permanently inflamed. It is not the cholesterol that caused the blocking, but the inflammation of the blood vessels. Very little, if any, brain inflammation. Inflammation is less common in people who maintain a healthy weight, than in those who are obese. It is less common among those who follow the plant-heavy Mediterranean diet, than among those who fill their plates with empty carbohydrates and tons of red meat. Not surprisingly, the recommendations for reducing inflammation in your body are much the same as those we’ve been hearing for years about how to prevent heart disease, how to avoid cancer, and how to live healthfully. The difference, per Dr Tanzi, is that now these recommendations are backed by incontrovertible scientific evidence. What can influence how quickly your injuries heal, whether you catch the flu, and the health of your cardiovascular system? Inflammation is part of the vascular system’s complex response to harmful stimuli. The tissues and blood cells that keep your body healthy are intertwined in a complex network that makes up your vascular system. It plays a critical role in maintaining your body’s immune system and heart function. It is especially important for athletes to control inflammation to be able to compete at peak performance. Inflammation affects everyone and tends to become harder to control, as you age unless you regularly scan your entire body using frequency to discover where your health is starting to deteriorate – you then decide what options are open to you. That is what I did. I decided to buy “the product”. To keep your levels in check, avoid eating foods that are high in bad fat, refined flour, empty calories, sugar, and table salt (as in fast foods). Aim for foods that are high in antioxidants like vitamins C and E, fibre, calcium, fish oils, mono-unsaturated fats, and low on the glycemic index. Specific foods that I have used over many years to influence the lowering of inflammation include garlic, grapes, herbs and spices, hemp seeds, nuts, olive oil, green tea, and apple cider vinegar. Many of these foods are consistent with following a Mediterranean Diet, a good way to keep your CRP levels in the healthy range. Even small changes in your exercise routine can make significant dents in your body’s level of inflammation, Dr Tanzi says. “You don’t have to work out like a maniac, but some exercise each day will make a big difference,” he adds. Exercise reduces levels of toxic protein debris in the brain, helps curb brain inflammation, and induces the birth of new nerve stem cells in the brain, particularly in the areas involved with Alzheimer’s disease. “If you want your health span to keep up with your life span—to live longer with good health—that’s where these old-hat recommendations become new,” Dr Tanzi says. My wife and I both set our alarm each morning to take a brisk 20-minute walk in the local park. We often walk twice a day. If we walk in the early evening, we call that slower walk our romantic walk. Your gut holds approximately 60 to 70 percent of your immune system, so it stands to reason that it would be a great place to reduce chronic inflammation. And if your gut is in bad shape, you can only imagine, that your immune system is in some serious trouble. Your gut microbiome is a game changer. Trillions of microbes live in us, we are their host. These bugs are part of us and healthy for us unless you allow inflammation into your systems. When you scan your body, as I do every month, it will pick up where your cells are starting to deteriorate and complain to you via deferred pain and inflammation. A great way to start immediately is by taking a daily fresh liquid pre-and probiotic. Just make sure it’s high quality and alive. I make my own. When you can’t control inflammation through diet and exercise alone, try not to resort to anti-inflammatories as they damage your gut’s microbiome. I use “the product” as my next preferred choice. Another possibility worth exploring is a chronic infection (bacteria, viruses, yeast, parasites). These guys could be hiding out in your body just under the radar and dragging your immune system down. You have a couple of options for testing—look at your blood by having a dried blood analysis, I did, or check your poo, I didn’t. It may not be pretty, but knowledge is power, so be brave and have your stool checked. You can have your stool analysed – this analysis will identify parasites, abnormal bacteria, yeasts, and other gastrointestinal issues, which will help you create a game plan that targets the infection. You will also be able to detect these little monsters with your scanning device. This is the cleanest, quickest and easiest method and you can do it every month in the comfort of your own home. I suggest you also consider Leaky Gut Syndrome, a condition that can result in damage to your intestinal lining. When this occurs, bacteria, undigested food, and other toxins can literally leak into your bloodstream, triggering an autoimmune response and a host of painful inflammatory symptoms. A simple urine test or a dry-blood analysis or your scan can tell you if you need to plug up those leaks, so to speak. Adequate oxygen and micronutrients from natural fresh vitamins, minerals from organic plant-based foods and by drinking structured water, inhibit the formation of inflammation and tumours. This also inhibits metastasis, the formation of cancer cells and the growth of cancer cells. I grow many veggies and herbs in pots on my stoep. Structured water and micronutrients can work together at the genetic level of cancer cells and convert them from immortal cells to cells that die – they MURDER cancer cells. Vitamin C, amino acids, cannabis, green tea, the good herbs: Curcumin (turmeric), black pepper, ginger, garlic are all anti-inflammatory. Remember, inflammation can lead to Cancer and all the other dreaded diseases. Having said so much about the absolute importance of inflammation in this article, the only true and real cure for cancer and other diseases is building the immune system after all your inflammation and acidity have been addressed. A fight with no army is like a fight against cancer with no immune system. I started by buying a scanning device called The Health Risk Decoder. This device scans and gives you a comprehensive analysis of your body’s primary and secondary systems. In other words, help you plan and execute a preventative lifestyle – discover your new path to absolute well-being – MEDICATION FREE. CLICK HERE FOR MORE INFORMATION ABOUT THE HEALTH RISK DECODER. ⟵ARE YOUR CELLS TALKING OR DYING?